In a bowl, combine blend eggs and milk together. Mix well. In a second bowl, combine bread crumbs, garlic salt, flour, and cornstarch. 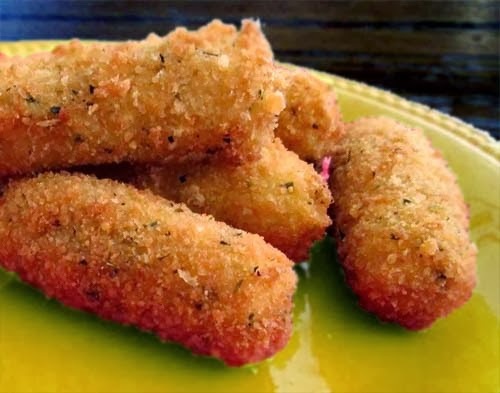 Cut cheese into desired size sticks. Dip each cheese stick into egg/milk bowl then into the dry mixture. Repeat these steps one more time. Fry in oil for 1 minute. Then drain on a paper towel.